I've been writing since 1986. Encouraged by the publication of my first short stories and after a few years research, I finished Crystal Spirit, my first novel, two years later. This was published by Seren in 1992. Set in 1930's Wales, Crystal Spirit charts the rites of passage of David Hicks, a young man wanting more than his depressed and depressing valley can provide. David gets involved with the socialist politics of the time, greatly influenced by his uncle Billy, a lifelong communist and challenger of ' the system.' Locked into an early marriage he sees as a trap, David follows his uncle to Spain to experience the ravages of the Spanish Civil War. Here he grows up quickly amongst the carnage, and the war changes his life forever. I was lucky in my research to talk to Welsh veterans of this war before they passed away - they are all gone now. Although I read everything I could about the civil war, the first hand accounts of veterans like Morien Morgan, my old high school teacher and friend, were invaluable. They brought dusty research to life. Crystal Spirit was republished by Seren in 2005. Second book up is Out Of Nowhere, a novel set in the USA of the 1950's. This book centred on Frank Magnani, a Welsh guitarist out to seek his fortune on the heady world of American jazz at its most exciting time. Although I drew on some of my own experiences as a musician, Out Of Nowhere is very much fiction, not autobiography. Despite what my some friends might say, I was just an infant in this decade! I chose the 50's because it was a time when jazz was at its most exciting and crucial state, a melting pot of innovation which went on to influence all contemporary music. Out Of Nowhere is set in New York and the southern states of America with a small section in Greece, and is my only book that is set completely out of Wales. It was published by Seren in 1993. My third novel, Dark Edge, was published by Seren in 1997. This was set in the national miners' strike of 1984. The strike was a seminal point in British twentieth century politics and social history and I wanted to set a story within it. Dark Edge was centred on two warring brothers, Edward and Edwin Bowles, one a striking miner and socialist, the other a policeman with very different ideas. In a way, the strike was a minor civil war in south Wales, often dividing families. I tried to chart this via the brothers, using my first hand knowledge and experience of the strike. In 1999 Seren published my fourth novel, Status Zero, which is the work I am most pleased with, so far. Status Zero was a term coined at the time for people on the lowest rung of the social ladder, without much chance of advancement. This was Mark Richards, teenage thug, delinquent, burglar, living with his mother and ultimately his baby brother, Shane. With an already shaky psychology, Mark gets much worse when the Richards family suffer the trauma of Shane disappearing. In prison, Mark becomes interested in whales, which leads him to another chapter in his life. Status Zero is set in Wales, southern England and the Shetland Islands. My fifth novel with Seren, Resolution, was published in 2003. This was my first book to feature middle-class, educated characters in central positions. Rob Crossman is a failed artist, increasingly in mental turmoil, broke and selling possessions to pay the bills. He is estranged from his long-time girlfriend, Cath Galbraith and can't handle her rejection. As his mind rots, he plans a course of action that is his descent into madness. Since Resolution was published I have had a change of publisher. My latest novel, Risk, will be published by Accent Books in March 2008. Accent is a new and dynamic company run by the remarkable Hazel Cushion. Risk takes us back to my more familiar territory of the south Wales valleys, but minus the usual working class central character. This time the main man is James Read. Once happily married with two daughters, James has lost everything because of an addiction to gambling. He is divorced and sinks to living rough on the street at the lowest point of his life, until he manages to get re-housed in a hostel. Here he meets a number of memorable characters, and, true to his spilt nature, his life takes a turn for the better, then very much for the worse. My seventh novel, Dead Pretty (formerly Retribution) features a character I first developed in Status Zero. Mark Richards, the disaffected youth of that book, is now a thirty years old private investigator living and working in London. Returning home from a job he makes a traumatic discovery at the flat he shares with his girlfriend, Lena. This takes him on a taut journey to the Midlands, south Wales and Amsterdam, where he is both vengeance seeker and target, challenged by very powerful criminal forces. Also being published by Accent concurrent with Risk is a novella called Losing It. Losing It is part of a series called Quick Reads which Accent has developed in conjunction with the Arts Council. They are aimed at adult readers who might not have had access to books before, and are meant to be fast moving, simply written stories that engage the imagination immediately- at least I hope Losing It is! About the author: Dead Pretty is Roger Granelli’s second novel for Accent Press and follows 2008’s Risk. Set in a homeless hostel, Risk followed the life of James Read and his relationship with a schizophrenic Falklands veteran who he meets at the hostel. He has also published five other novels for Seren. 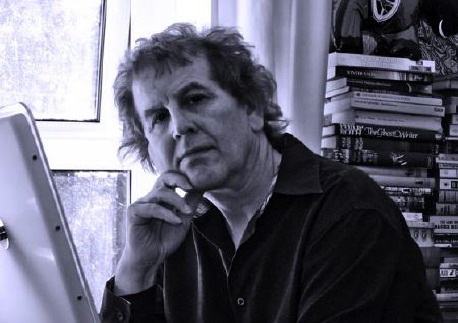 Winner of the 1999 Rhys Davies Short Story Competition, Roger has had numerous short stories published in literary magazines, some of which have been broadcast on BBC Radio. He is also a professional musician and composer and currently teaches music in his home town of Pontypridd in the South Wales Valleys.